Local seed companies form a bridge between global companies and smallholder farmers. Seed companies are not only competitors but also collaborators. An example of the latter is the agreement between global company East-West Seed and Best Seeds in Sri Lanka. Like in most of Southern Asia, bitter gourds are a very popular vegetable in Sri Lanka. Sri Lankans tend to pay more for white bitter gourds than for the more standard green ones. However, there is still a shortage of hybrid seed for white gourds. 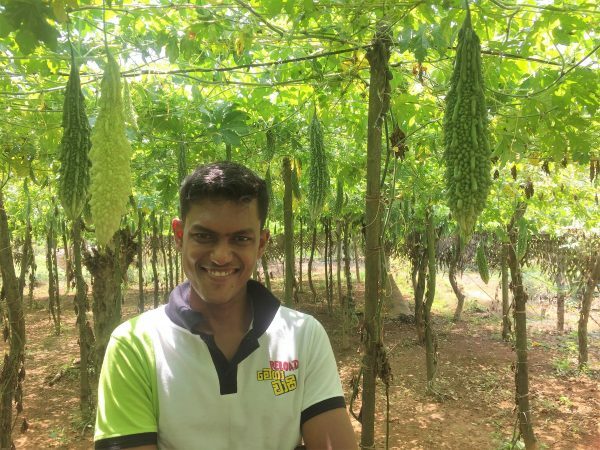 Therefore, Mr. Chathurnanga, who has a 1-acre plot, grows a mix of green bitter gourds, a hybrid from East-West Seed, and white ones, an open pollinated variety from seed produced by Best Seeds. Mr. Champika is a lead farmer who is trying out a good agricultural practice (GAP) technology brought to Sri Lanka by East-West Seed. It involves placing spun bond gaze (a thin, non-woven fabric) over young gourd plants until they start flowering. The gaze doesn’t reduce light very much, but prevents damage by insect, hence reducing crop protection spraying significantly. 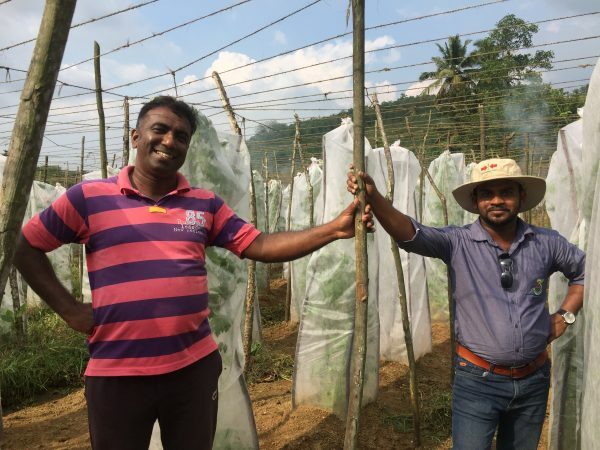 Mr. Champika, Best Seeds and East-West Seed are enthusiastic about the initial results, with the view of scaling up this GAP technology by enlisting additional lead farmers and subsequently other farmers through ‘show & tell’. Mr. Chathurnanga grows a mix of green bitter gourds, a hybrid from East-West Seed, and white ones, an open pollinated variety from seed produced by Best Seeds.